Do gentlemen prefer blondes? 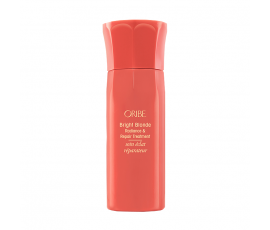 Oribe Bright Blonde is a must-have line for people in love with blonde hair. Enriched with pure Violet Pigments and Pearl Powder Extract, these gentle, softening formulas correct brassiness while brightening natural highlights and providing shine and glow after just one use. 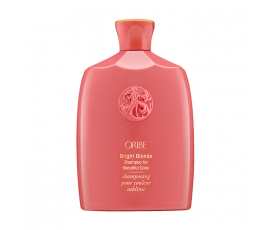 Oribe Bright Blonde adds shine to blonde hair while hydrating it. Enriched with Brightening Complex (with Lemon, Ginger Root and Chamomile Extracts), Oribe Bright Blonde shampoo, conditioner and repairing treatment prevent natural and bleached blonde colour from fading. This line products repair the damages caused by chemical treatments, avoiding breakage and leaving hair incredibly soft.